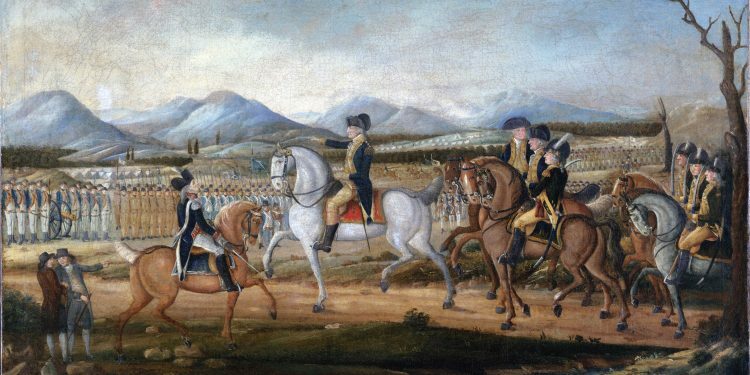 In the same summer that Anthony Wayne took his American Legions into the Ohio Valley (1794, see part 1 of this analysis) a different army — also acting on behalf of the U.S. government — marched into western Pennsylvania to crush the Whiskey Rebellion. The rebels were a group of small farmers and local elites who had made themselves into an early modern combination of Occupy Wall Street and the Tea Party. Instead of “Don’t Tread on Me” license plates (like the ones we have in Virginia today) they had actual flags that read “Don’t Tread on Me”; they also had liberty poles and the Westsylvania flag. Instead of objecting to the 1%, they objected to the “Eastern Snake” — the financiers who were stealing their country. In other words, the Whiskey Rebellion pulled together the same forces of economic populism and millenarian hope that still animate the left (Bernie Sanders) and right (Donald Trump) today, with one notable exception: theirs was a time when white supremacy was still explicitly the law of the land. Among the grievances that fueled the rebels we can include an early modern version of a bailout. Government issued bonds had been used to pay the soldiers in the Continental Army during the revolutionary war. During the economic depression of the 1780s, speculators had bought these up for pennies on the dollar from the men — mostly farmers — who had fought for independence. Now those speculators were arranging, via Congress and the Hamilton-led cabinet, to have the government pay off the bonds at face value — making these speculators a fortune while those on whose backs the war had been won were left out in the cold. Sound familiar? Due to this and many other grievances, the entire western frontier of the early USA was aflame with tax resistance. This resistance was particularly fierce in reaction to the new whiskey excise, which disadvantaged western small farmers who turned their grain into whiskey to make it easier to transport and sell. In the environs of Pittsburgh, whiskey inspectors tasked with registering stills were tarred and feathered. More broadly, tax avoidance and attacks on tax collectors posed a problem for Federal finances and for Federal legitimacy. Pittsburgh was where things escalated when the federal government decided to make an example of the resisters by sending a massive army of 12,500 soldiers to deal with the rebels — making it the largest troop movement in the USA between the revolution and the Civil War. Interestingly, when he used the Militia Act to call out this army, George Washington was effectively labeling varied militia units, units that came from Jersey and from Philadelphia, a “Federal” force. Just as we break a bottle against a ship and pronounce “this ship the Endeavor,” Washington was pronouncing these soldiers not regional, but federal. In other words, when we consider the Whiskey Rebellion closely, we are well within the territory of the performative state, wherein state actors act within and on behalf of the state, and at the same moment, invent it. Why was everything so performative? Partially because the country was in crisis. 1794 was a difficult year for democratic republics. Looking across the Channel at the Terror, many Britons would have suggested that the French experiment with republican democracy was to be short-lived. Meanwhile, given the challenges faced by the nascent USA, they would have found reason to predict this republic’s demise as well. Yet here we are in 2017, knowing that in fact the republic stood, and eventually managed to extend voting rights to the majority of its citizens. And yet… Since November, there has once more been much talk about a crisis of the American republic. As the travel ban confronts judicial resistance, and restrictions on voting make national news, and congresspersons start talking about Constitutional crisis, we might ask: how can the republic stand, rights be defended, and democratic life encouraged to flourish rather than whither away? Can we draw some lessons from a crisis at the beginning of the republic to help us understand whether 2017 is the beginning of the end of the republic? Timothy Snyder’s fundamental argument about this moment of crisis has been “institutions will not save people, people have to save institutions.” I agree, but I think we can be a bit more precise about the current crisis by using historical sociology, which insists on the need to attend very closely to the question of elite interpretation when societies destabilize. For what happens during a crisis is that elites whose power before a crisis rested on their structural position do not lose power, but the nature of their power changes — it comes to have less to do with where they are in the social order, and becomes more about winning battles of interpretation and performing successfully. Sometimes we talk about crises as a power vacuum, but this is the wrong metaphor. A crisis is not a vacuum, but rather a prism which distorts existing power structures as it projects them into a new time, the “troubled times” of crisis. During the crisis of 1794, a series of elites, positioned variously in the political and economic structures of the time, engaged in just such a battle of interpretation. This struggle was “fundamental” in that it attempted to define the meaning of the Whiskey Rebellion — “just what is the rebellion out west?” it asked. Answers to this question were many and conflicting. Some elites sought to define it as the rightful objection of tried-and-true patriots who, having bled for their country, deserved a better deal. After all, these patriots had marched peacefully through Pittsburgh. Other elites sought to define the rebellion as the fault of a few bad apples, rabble rousers who had disrupted the normal functioning of politics. A third interpretation held it to be a radical political rebellion against the tyranny of the East, a rebellion in the name of equality that replaced King George with George Washington as its object of hatred. And there was yet a fourth rendering of the “Whiskey Rebels,” one that thought of the rebellion itself an example of tyranny, as a small minority of persons refusing to follow the law of the land — a law that had been created through democratic means. All of these options were tried out, publicly and privately, during the summer months of 1794. 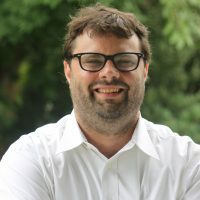 However, through a prodigious production of rhetoric and the right network connections, the fourth interpretation — what I have in an article on the subject (pay-walled) called the “Philadelphia Interpretation,” — won the summer in the sense that it directed state action during the crisis. This interpretation had many different concrete expressions, among them Hamilton’s highly effective letters to Washington and to the rest of the cabinet. Hamilton’s view was that the tax evasion was both illegal and dangerous, and had to be crushed with military action so as to save the republic. Indeed, it is because of Hamilton’s discursive triumph that we call this whole episode the “Whiskey Rebellion,” a term he favored because it called to mind drunken and misguided rebels. 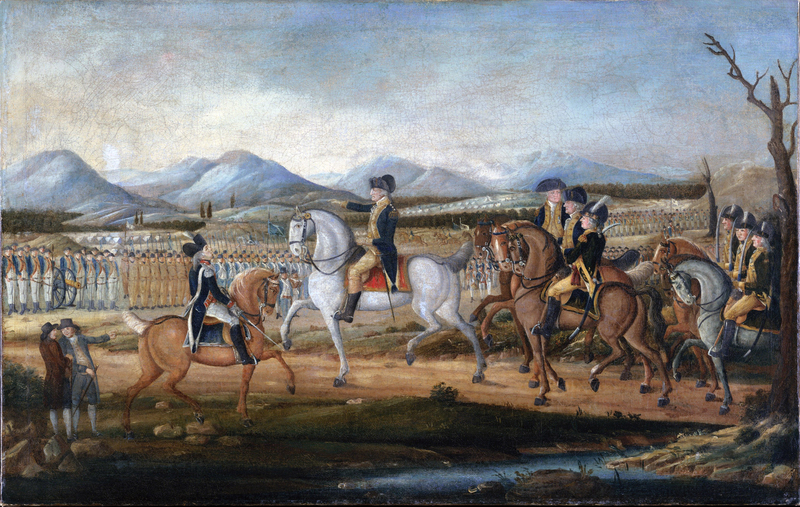 (The neo-progressive historian Terry Bouton argues we should call it the “Pennsylvania Regulation of 1794.”) It was by winning the interpretive war that Hamilton directly accessed “realist” forms of power, including the ability to move a massive amount of men over the Allegheny Mountains — no easy task in 1794, when it took longer to go from Philadelphia to Pittsburgh than it did to go from Philadelphia to London. In other words, by winning a battle over meaning, Hamilton enhanced U.S. state capacity and helped give shape to the Federalist era. This interpretive struggle — which even intensified in some quarters after the state action to crush the rebels — reveals what I mean about performing the state in a time of crisis. During a crisis, elite interpretation takes on ontological significance — it becomes the terrain of struggle for comprehending what is real, and deciding what should be done. But while Hamilton was handwriting letters that would later be republished in newspapers, today our means and speed of communication are of course different. What has not changed is the power that accrues to elite interpretation during crisis. For, during a crisis, the usual taken-for-granted distinction between legislators and interpreters, between political action and political commentary, breaks down in a way that makes government actors into interpreters of the government (or perhaps reveals that they always were such, but in a more “habitual” way, even before the crisis was upon them). In short, a crisis transforms every person in a position of power, whether they like it or not, into a political philosopher. This means that those who, in stable times, specialize in interpretation no longer have the field of interpretive struggle to themselves. No longer can the illusion hold that there is a machine-like state, and it is those outside the state who interpret its action. To be sure, newspapers reporting on the Whiskey Rebellion were very important in 1794, and I certainly think the traditional interpretive professions (journalist, professor, novelist) are important now. But the lessons of the past suggest to me that we are now entering a situation where both the judiciary — which was always in a sense the interpretive arm of the state — and a broader constellation of political and economic persons of power, will exercise power via interpretation. The interpretive struggle, in other words, becomes a struggle for the power to define what is real, and how the real should be viewed, thought about, felt. Part of what the prism of crisis creates is a situation wherein those elites (and their lawyers!) who do not normally “comment on” or “interpret” political affairs are suddenly thrust into a series of interpretive problems about what a republic is, how the protection of rights should work, and so on. These interpretations can be “public” or “private,” or somewhere in between. In other words, elite interpretation is not just a question of editorials published in the New York Times. In 1794, interpretation of what was real in the midst of an ontological crisis also occurred via more personal, private networks of communication — for example, letters sent between members of the Society of the Cincinnati. These days it means that select parties amongst the power-players in Aspen and carefully-culled email lists that include only five or ten close friends and colleagues in the world of law and business will debate “politics” and the meaning of the republic. When differences of opinion emerge in such private settings — when someone takes a stand about Trump and Bannon, someone else objects to this stand, and everyone on the email list has to take a side, for example — the work of interpretation in a crisis begins again. In other words, the outcome of our ongoing crises will be determined in part by the struggle to interpret what ‘rights’ means, what counts as an illegal use of executive power, and so on. The key persons in the struggle will include those more accustomed to working in the machines of the state and the economy and ignoring “commentary.” It is precisely these folks who can insist on an open and rule-governed society that aspires to democratic decision-making, and who can demand a government responsive to the public and its problems. So, if you run or sit on the board of a major company that lobbies Congress, if you work for a Congressperson or clerk for a judge — or if you are a judge — your time is now. I do not want to underestimate the importance of journalism and the opinion space of the blogosphere, and I want the journalistic profession to do its duty vis-à-vis the Trump administration. And, of course it the case that even in a time of crisis, massive popular protests are often key to making elites in modern society pay attention to anything beyond the bottom line. But, sociologically speaking, it might well be time for the rich lawyers, those greasers of the cogs of our great governmental machine, to save the republic.